How many benefits does yoga offer the mind, body, and soul? For some, yoga is a life changing experience. The release of tension, the mind-clearing meditation, and the fellowship of other yogis are just some of the joys of yoga practice. 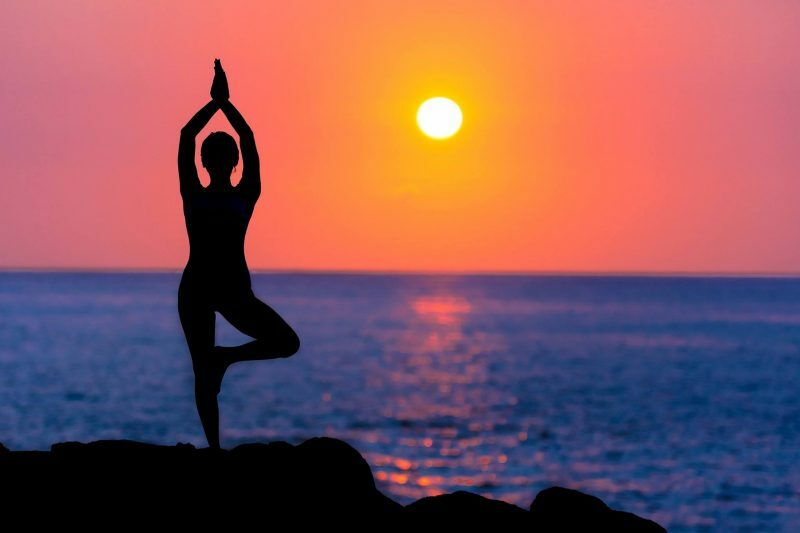 According to the International Yoga Federation, there are over 300 million people practicing yoga worldwide. If you’ve been part of the movement for years or just getting started, mistakes can (and do) happen. Whether you’ve misinterpreted a pose, bought the wrong mat, or have unintentionally limited your experience, there’s always room for improvement with yoga. Let’s explore six of some of the most common yoga training mistakes that are holding you back from enjoying the full benefits of yoga. Yes, yoga is a serious ancient practice. But that doesn’t mean you’re not allowed to smile or enjoy yourself. If you view yoga as an activity that has no room for fun, you’re less likely to look forward to your next session. You might begin to think of it as a punishment, negatively affecting your experience. The next time you’re feeling frustrated with a pose or feel like you’re barely making it through a session, allow yourself to smile, be proud of your accomplishments thus far, and just enjoy the moment. Are you putting off your first class for mundane reasons? No, you don’t need to buy the perfect yoga outfit. You don’t need to lose 10 pounds first. You don’t need to read up on the most common yoga news. Sometimes, the best way to get involved in yoga is to throw yourself in. If you’re working with a skilled yoga instructor, they’ll be able to guide you through the first class. Don’t worry about being judged by your fellow yogis. You’ll find that classmates are more than willing to help you through the movements and encourage you to keep growing. 98% of yogis consider themselves to be at a beginner or intermediate level. Chances are, you’re surrounded by others who want to learn just as you do. There’s no checklist you must work through before exploring yoga or a certain level of knowledge you must have. The best time to start is almost always now. It can be difficult to concentrate on nailing that next pose when your stomach is growling so loud you think everyone can hear it. So yes, you should eat before you head to yoga class. But there are a few guidelines you should keep in mind. Avoid anything too heavy. Eat a small serving of fruit or something substantial like oatmeal. For early morning classes, replace your morning cup of joe with a smoothie instead as coffee can make it harder to relax. But once class is over, treat yourself to something luxurious. Our favorite coffee beans can be found at qavashop.com. Yes, yoga can change your life. It can relieve stress and pain, increase your strength and flexibility, and help you manage your weight. But it can be said that adding yoga to your routine is the first step to an overall change in your lifestyle. Attending one yoga class a week won’t influence your life if you’re not taking the core principles and applying them outside of the classroom. Focus on your breathing during stressful situations, meditate each morning or right before bed, and remember to stay in the moment and remain present, even during those dreaded weekday work meetings. This is a common mistake amongst newbies but even the experienced yoga student can be guilty of forgetting to breathe. When holding difficult poses, it’s crucial to breathe through the movements, allowing your body to fully experience the pose. Meditative breathing is central to every pose. Holding your breath at any point during a yoga session means you’re missing out on some of the most important benefits. No pain, no gain, right? This saying doesn’t work in the yoga world. While you should push yourself to improve poses and give the more difficult ones a shot, yoga should never be excruciatingly painful. In fact, yoga injuries occur when we ignore pain during poses and push our bodies further than we should. If the person next to you can perform a deeper pose, admire them but don’t punish yourself. Yoga is based on the principle of ahimsa (non-violence). This applies to how you’re treating your own body as well. Yoga is a discipline and you’re encouraged to take it seriously. While we’ve mapped out some of the common mistakes in yoga, keep in mind that the yoga journey is a bit different for everyone. If you have a unique approach, but it works for you, we encourage you to continue your journey, as long as it’s safe for you and those around you. If you’re making one (or more) of the mistakes listed, self-awareness is the first step. Focus on improving but give yourself time. There is no set number of classes that make you the perfect yogi. Continue working on your poses, breathing, and focus. You’ll find that each new accomplishment in class will have a positive effect on your life.